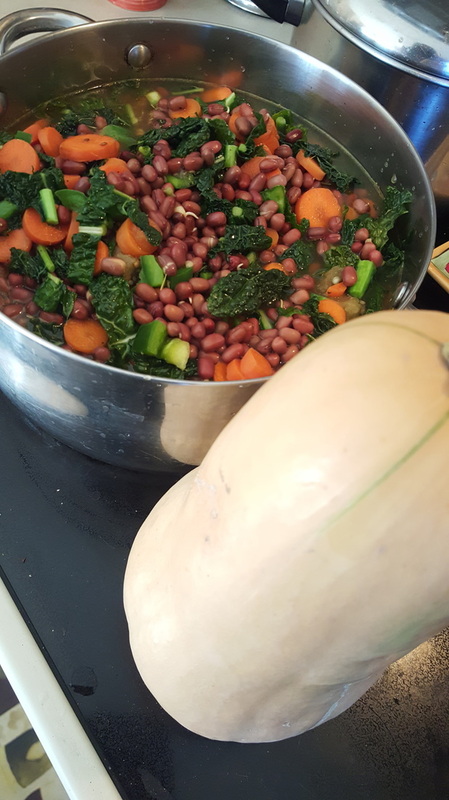 Recipes - Are You Ready for a Change? Many of you have asked for recipes over the past weeks, months.....so, here are some for you. :-) What better way to start off the day than with a raw acai bowl of greatness. Consuming mostly raw organic foods allows the body to heal itself more effectively. In a Vitamix, Nutri-bullet, Ninja, blend 3 frozen bananas and a frozen package of acai. 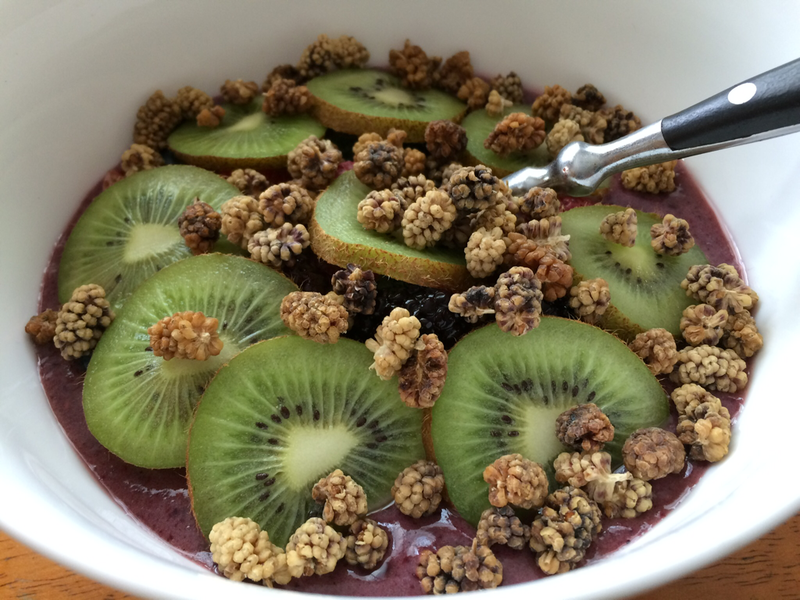 Acai Powder can be used as a more economical option combined with a few frozen berries. Divide the frozen blend into 2 bowls. Add fresh or frozen berries like raspberries, blueberries, blackberries, mulberries to the top of the bowl. Slice up some kiwi or strawberries to add too. Then comes the fun part-the toppings. 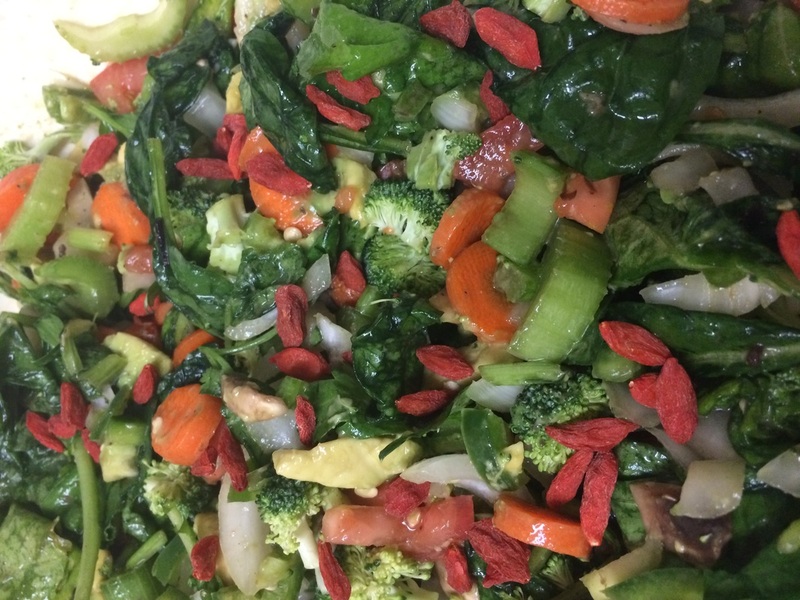 We enjoy shredded coconut, goji berries, raw cacao and chia seeds. 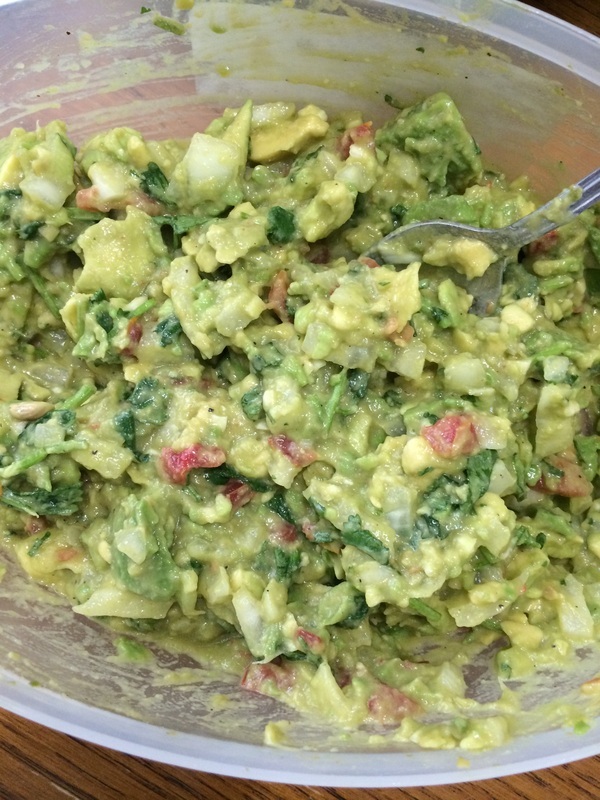 Here is the world famous Hinkle guacamole. (could be about 40-60% difference depending on how many nuts and which ones). Soaking helps to eliminate the phytic acid. You need a glass or ceramic (food safe) crock-like container (1-5 gallons is preferred size). Brew Organic Green Tea using filtered (reverse osmosis at least) water. While cooling stir in 1 cup organic pure cane sugar per gallon of tea. Let cool to room temperature then add tea to container along with scoby (symbiotic colony of bacteria and yeast). I can ship to you if you need one to get started. Each batch will make a new scoby on top. Cover with a breathable cloth and a rubber band. Place in a dark area where it wont get bumped or jostled. Allow 10-21 days to ferment. The longer it ferments the more potent it becomes (it will taste more and more like vinegar with each passing day). When you are ready to harvest, pour into glass containers for storage and refrigerate. If you want to flavor your kombucha, you may do a second fermentation which will add carbonation and effervescence. Simply pour into glass containers and add about 3-6 ozs of fresh fruit or freshly squeezed juice per 20-30 ozs of kombucha (avoid using store bought juice as most have been heat pasteurized which kills the live enzymes). You may use pineapple, apple, mango, blueberry, strawberry, or any other fruit of your preference. Seal with a cap and let ferment 3-7 days. Use caution when opening and do not shake before opening. 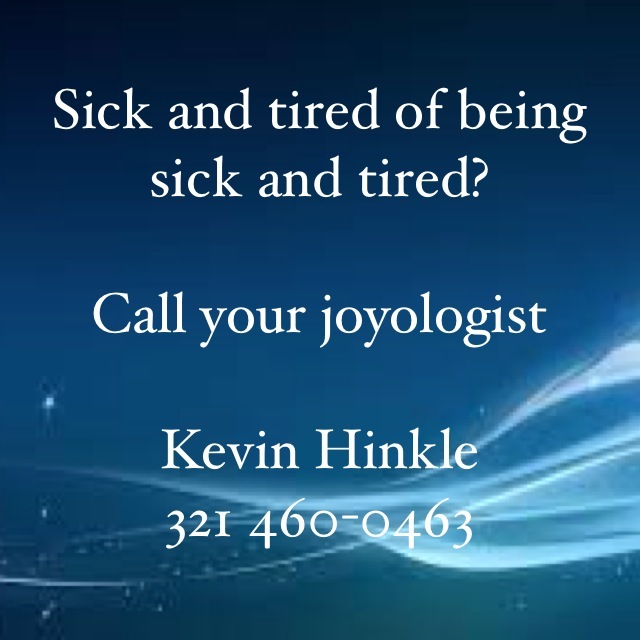 Any questions, I am a text or call away at 321 460-0463. In a glass bowl, mix the apple cider vinegar, cinnamon, turmeric and black pepper. Add the lemon rind, and lemon juice. Stir the mixture until it becomes smooth (homogeneous). Store what is not used today in the fridge. Take one tablespoon of a day each the morning. Keep the mixture in your mouth until it is completely dissolved. Usually, after three days, the cold subsides and the body recovers. No toxic antibiotics necessary. 2 Quart Size Maison jars will provide you with about 16 ozs of kefir per day if you ferment every 3 days. Mineral water is best for the kefir grains. Well water is also good because of the minerals left in it. Mix a quart of water with 1/4 cup organic brown sugar. Pour water into Maison jars mixed with 1/4 cup organic brown sugar per Maison jar. Cover with breathable cloth/coffee filter and rubber band around top. 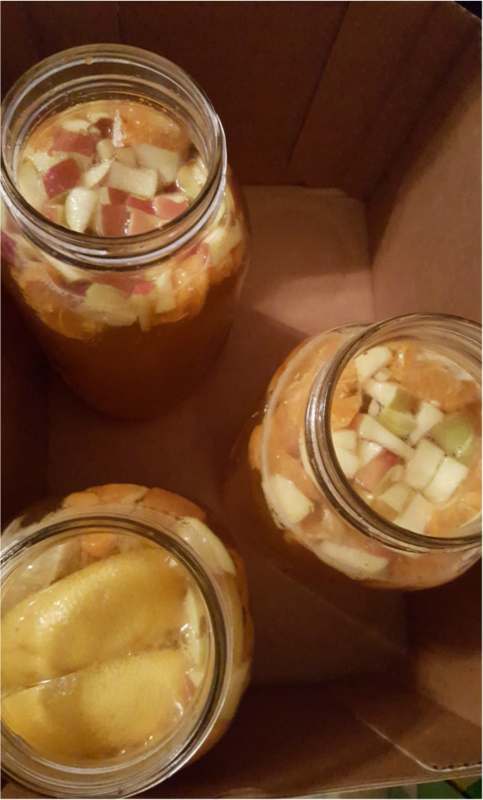 In 48-72 hours pour kefir into containers that you will drink and repeat the process (leaving the grains in the bottom of the Maison jars). Every 3rd ferment, add 1 tbsp unsulphered blackstrap molasses. 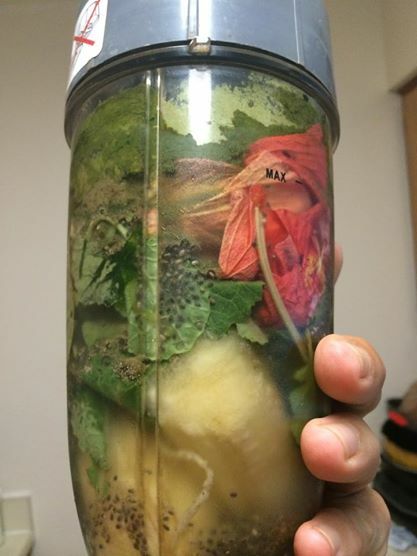 This keeps the grains really healthy and producing quality water kefir. Enjoy! 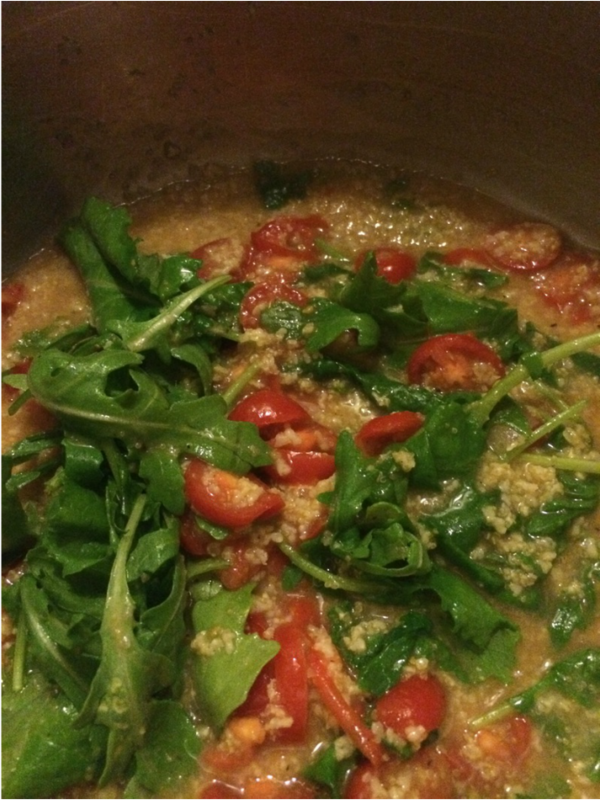 Soak any combination of millet, amaranth or quinoa for a minimum of 2 hours (overnight if possible). Use a 1 cup grain to 2 cups filtered water ratio when cooking. Lightly saute 1/4-1/2 onion in a few tablespoons of coconut oil. Add soaked grains plus appropriate filtered water amount for serving size desired. Bring to a light boil for approximately 10-12 minutes. Add pink Himalayan crystal salt and fresh ground black pepper to taste. Remove from heat and cover for about 5-10 minutes. Check periodically for desired consistency. Add 1 diced tomato. Add kale, ﻿spinach﻿, and/or arugula as desired. Cook on medium heat for 4-5 minutes. Let stand for 2-3 minutes and serve. Soak any combination of millet, amaranth or quinoa for a minimum of 2 hours (overnight if possible). Use a 1 cup grain to 2 cups filtered water ratio when cooking. 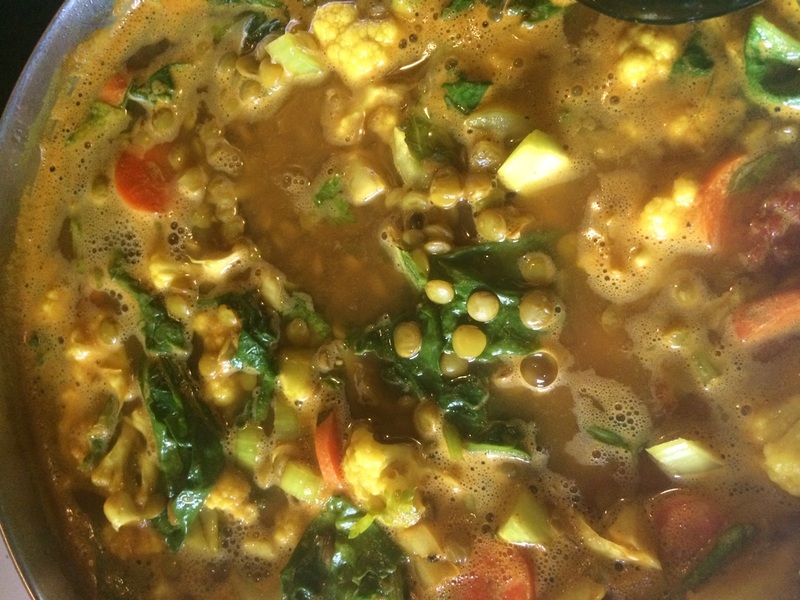 Add soaked grains to a large pot plus appropriate filtered water amount for serving size desired. Bring to a light boil for approximately 10-12 minutes. Add pink Himalayan crystal salt and fresh ground black pepper to taste. Remove from heat and cover for about 5-10 minutes. Check periodically for desired consistency. Add 1/2- 1 cup organic salsa. Add kale, spinach, cilantro, chard, and/or arugula as desired. Slice 3-4 cloves of garlic and add. Cook on medium heat for 4-5 minutes. Let stand for 2-3 minutes and serve. All ingredients are organic if possible. Slice 3-4 carrots, 3-4 celery stalks, and a half-whole chopped onion. Saute on low-medium heat in a tbsp or 2 of coconut oil for about 5-10 minutes utilizing a large pot. 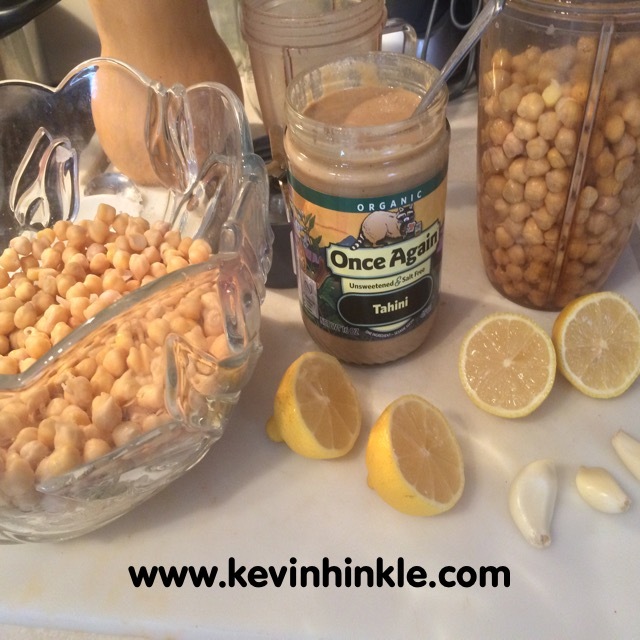 Add about 1 lb of soaked lentils (soaked overnight), or chickpeas, kidney beans, pinto beans, other lentils of choice. Depending on size of pot, add 1-4-1/2 gallon of filtered water (fluoride free). Fluoride content will double as it is heated. Season with sea salt and fresh ground pepper. Stir and add 1 tbsp of turmeric and a tbsp of cumin. Add about a half head of cauliflower (break up into smaller-medium pieces depending on preference). Broccoli can also be added in addition or in place of cauliflower. Turmeric, cauliflower and fresh ground black pepper are an awesome nutritional combo. Stir and add a handful or two of kale. Let it all come to a medium boil for about 10-15 minutes as you continue to stir often. Add your choice of fresh basil leaves, rosemary, oregano, parsley, cilantro, thyme, and/or dill. Reduce to simmer, may need to add some more water as it cooks down. Add a whole diced tomato or salsa (no preservatives). Let simmer for 30 minutes to an hour. Enjoy. I store the leftovers in the frig for up to a week. Could also be frozen if you wish to store longer. 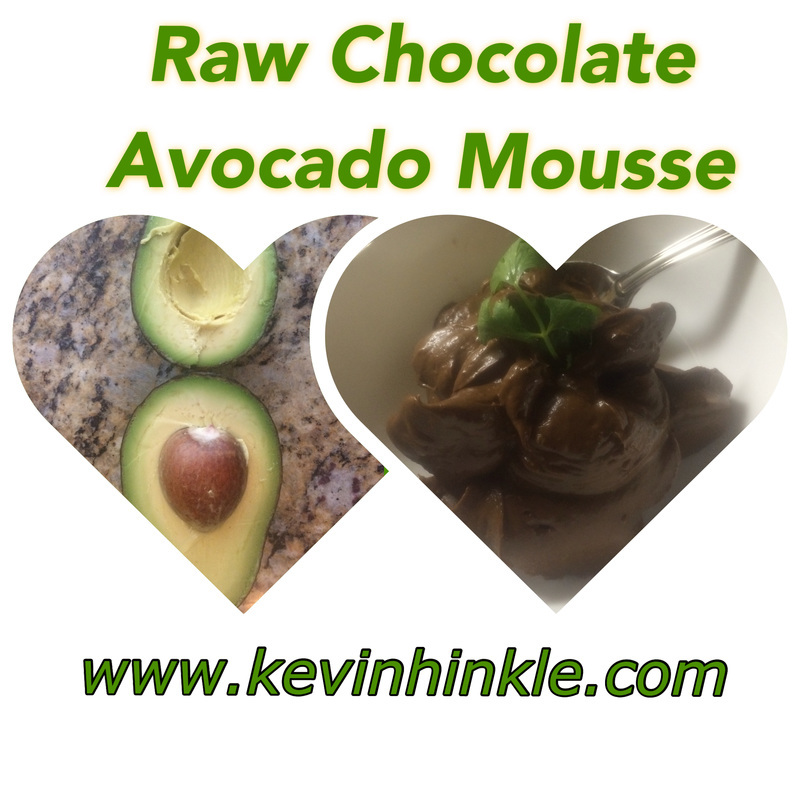 Mix Together the Cacao and Milk Then add in the Avocado. After mixing well, refrigerate until ready to eat. Enjoy!